Celebrations at Velocity don’t seem to come to end ever. One of the celebrations that recently took place was the festival that binds us together with freedom. 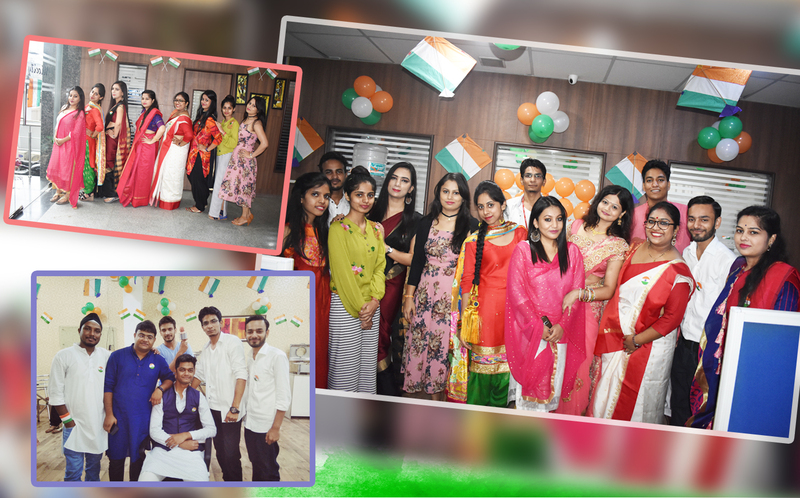 Yes, it was the 72nd Independence Day celebrations at Velocity which was celebrated on the 14th of August this year. Starting from the dress code, one was to choose any of the state and dress accordingly. This year, the Velocitians took the theme way too seriously and the results were just spellbinding. From beauties starting from Uttar Pradesh, the dress codes went all the went to Bengal, North East, Tamil Nadu, all-time favorite Punjab and so much more. For men, they dressed to the best with colorful kurta pajamas, Nehru jackets, and other ethnic accessories. Happy faces everywhere, compliments were flowing throughout the day for the efforts people incorporated in getting the whole look. Starting the day with wishes, all the Velocitians got down to their regular tasks, it was after the buffet that the celebrations began. The buffet served was purely traditional and was definitely lip-smacking. With poori sabzi, rice, paneer, dahi bhalla, gulab jamun, and so much more was there. Divided into 5 different teams namely Lakshya, Rang De Basanti, Chak De India, Tango Charlie and Dangal, every team prepared a skit for the celebration day. Choosing their own theme of the skit, the teams prepared for the entire week and delivered the best performances with the other members of their team. What kicked off the fun part was the ice-breaker game named Pregnant Ladies. The game made the participants wear a nightgown and walk the ramp on the item numbers. Not only this, the other team members puffed up the balloons in their nightgowns and made them dance to their tunes. Getting down with the skits, every team and their excitement with the practices paying off for good. 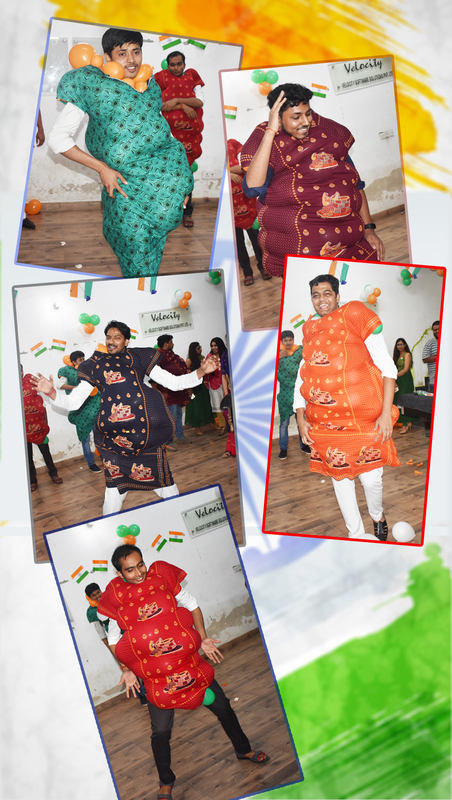 Every team was commendable with their themes including corporate setup, a look at the diversity of India, satire on vamps of all times, and politics. 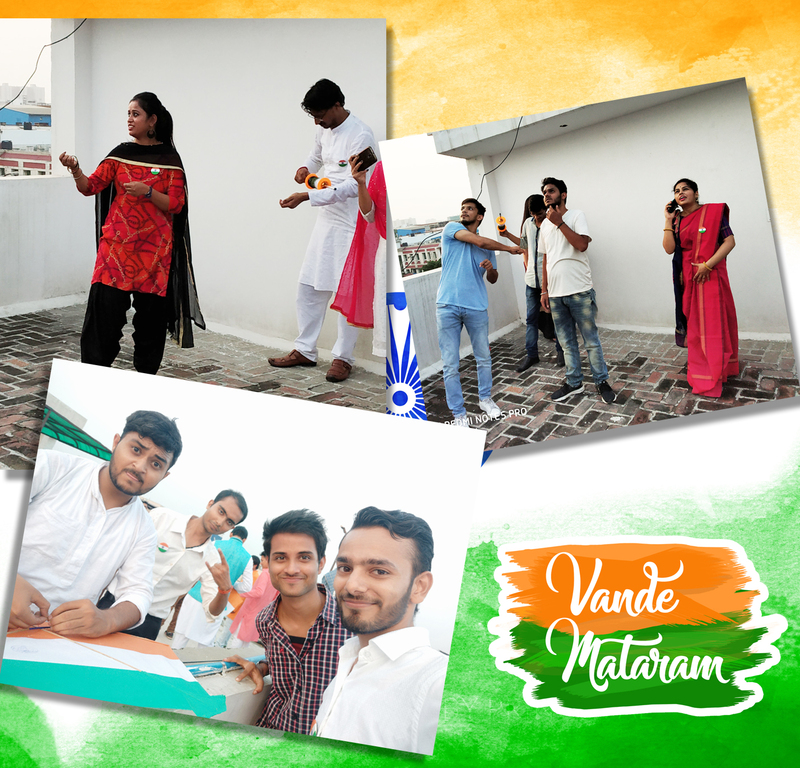 After the skits, everyone had their share of ladoos (a customary of Independence Day) and moved up to the terrace for kite flying. Thank God the rains had stopped and the kite flew up and high in the sky. It was finally time to depart and the Velocitians took back new friends, the feeling of freedom and a lot of memories from the day.